Just when you thought the cast of Stranger Things couldn’t get any cooler, the cutest cast member goes ahead and does something mind-blowingly awesome. Back in 2015, before Gaten Matarazzo stole all the hearts as Dustin of Stranger Things, he belted out the national anthem at a Mets game with his older sister Sabrina, and they absolutely killed it. As reported by the New York Post, the sensationally talented sibs auditioned for the gig by singing Pink’s “F**kin’ Perfect.” The judges loved them, obvs, and they sang “The Star Spangled Banner” in front of over 57,000 people at Citi Field on September 18th, 2015. And that’s not even the first time his voice impressed the good people of the Internet. EW shared a video of Gaten singing “Bring Him Home” from Les Mis back in 2014, and it will give you CHILLS. It’s hard to believe this is the same kid that screechily screams with glee at the sight of a pudding-filled fridge. But that’s clearly just a testament to Gaten’s unbelievable talent. 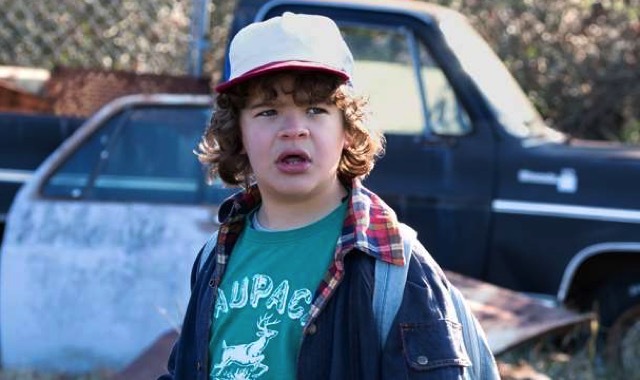 The best part about all of this is that he’s best known as the toothless kid from Stranger Things, who loves his friends as much as he loves candy and Dungeons and Dragons, and gets picked on for his lisp and voice. Time for those bullies to bow down, because this kiddo has some serious pipes. And now we’ll just watch this on repeat as we eagerly await Season 2!